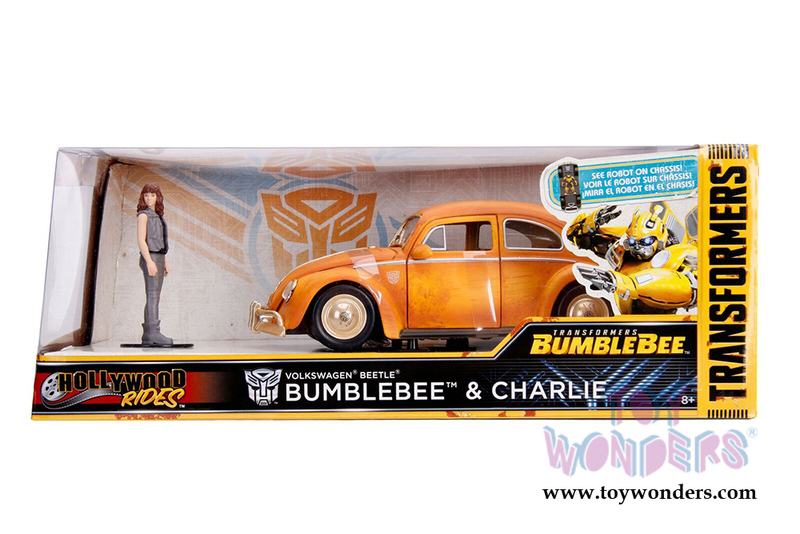 30114 Jada Toys - Hollywood Rides | TRANSFORMERS 6 1971 Volkswagen® Beetle® Bumblebee™ with Charlie figure. 1:24 scale die-cast collectible model car. 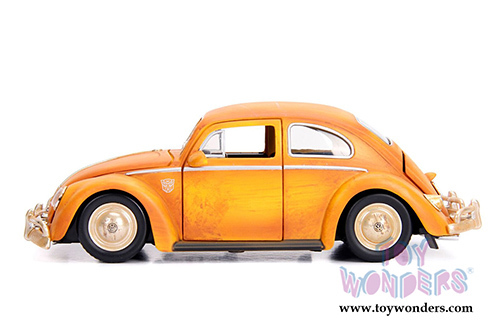 This Volkswagen® Beetle® is a 7.75"L x 3"W x 2.5"H die cast metal car with opening hood, trunk and doors. Free wheeling. 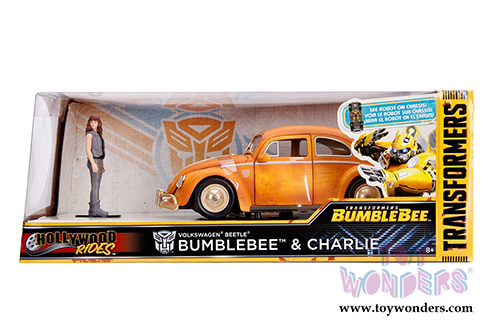 Charlie figurine is approximately 2.75 inches tall. It displays robot on chassis. 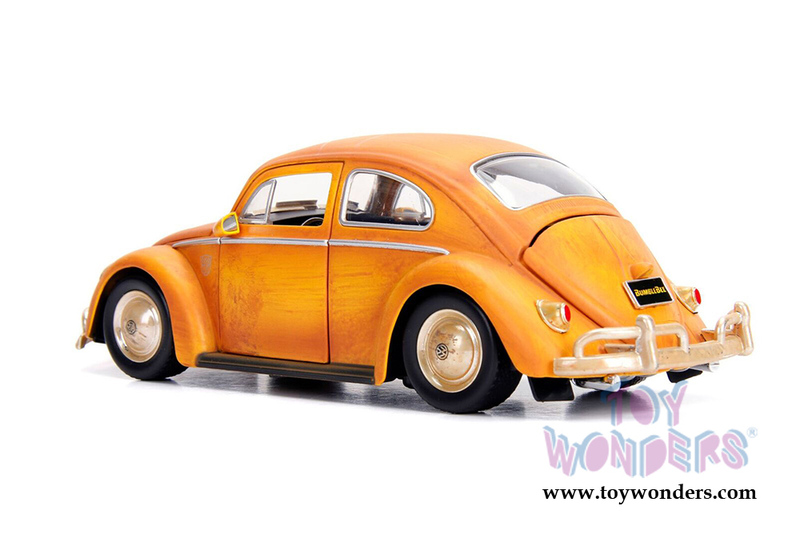 This VW Transformer is manufactured by Jada Toys. Individually packed in a window box (WB). Window box is 10"L x 6"W x 4.75"H. Item 30114 is in weathered YELLOW color. Bumblebee is an Autobot from the live-action film continuity family. He is one of Optimus Prime's most trusted lieutenants. Although he is not the strongest or most powerful of the Autobots, Bumblebee more than makes up for this with a bottomless well of luck, determination and bravery. He would gladly give his life to protect others and stop the Decepticons. 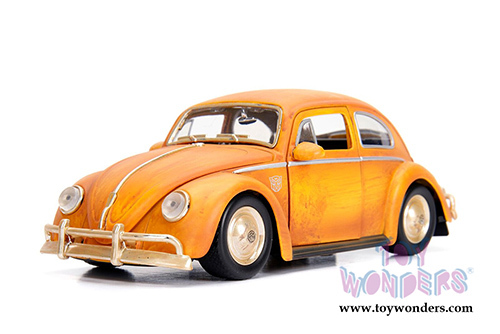 Badly damaged in battle, Bumblebee lost the ability to speak verbally, though he can still communicate over inter-Autobot frequencies. 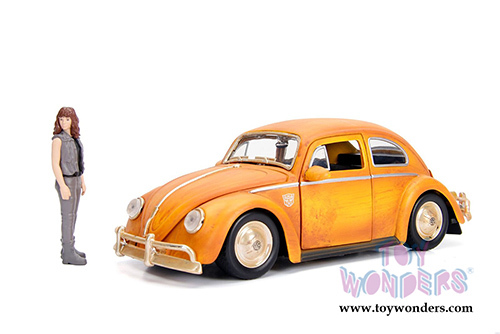 He can also communicate with the Autobots' human allies and his friend, Sam Witwicky, by playing audio clips from popular media on his radio. Sometimes he is also known as N.B.E.-02. 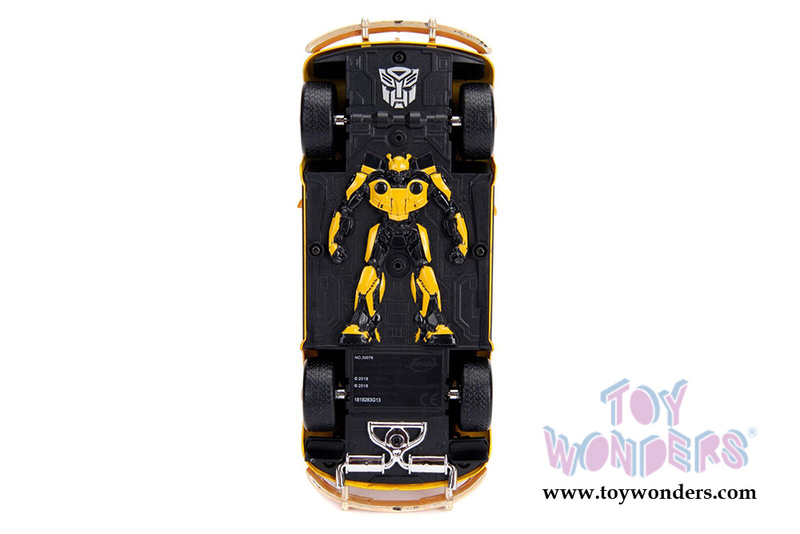 He is also partnered with the Dinobot Strafe, and is brothers-in-arms with fellow Autobot Hot Rod.